While we are still having a huge response to Denmark is a big shame- The sea is stained in red and in the mean while it’s not because of the climate effects of nature, we move to our own country where thousands of animals are slaughtered in the shake of religion. And the Government is dumb. This is the ‘World’s biggest animal sacrifice‘. 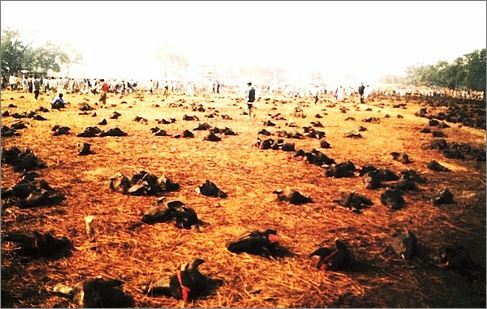 This is another visual topic discussion about Sacrificing a large number of animals in Gadhimai,Bariyapur VDC-1, Bara District, Nepal. 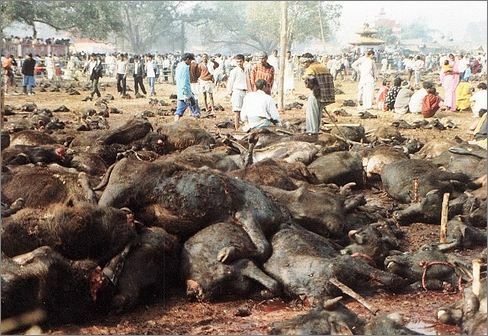 The Gadhimai Management Committee is bent on slaughtering the animals as per the historic tradition to appease the deity. The sacrifice is scheduled for November 24 and 25 in Bara district. 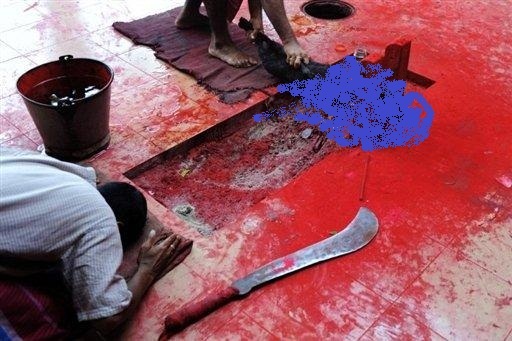 Another instance of brutality : Gadhimai animal sacrifice is a post reply in response to one of our visitor/commentator who expressed his thoughts about Denmark is a big shame- The sea is stained in red and in the mean while it’s not because of the climate effects of nature. There is a Group called Stop Killing Animals in the name of sacrifice( Stop Gadhimai Sacrifice) act now in Facebook, you can join it to participate in lowering animal violence and brutality. Some of the pics have been taken from the web sources, mysansar.com, if you happen to own the copyright just comment below and we shall promptly remove the image or assign credentials or pay for it. There have been enough protests and petitions regarding this Gadimai festival, but nothing seems to work for now.